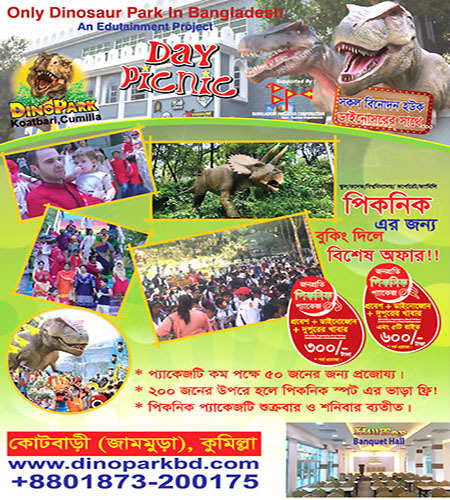 Dinopark is the first edutainment, unique concept of themed and show park In Bangladesh, Owned by Mazfiqua Holdings Ltd. Where our goal is to develop attractive recreational parks for all ages, with scientific integrity and educational benefit. 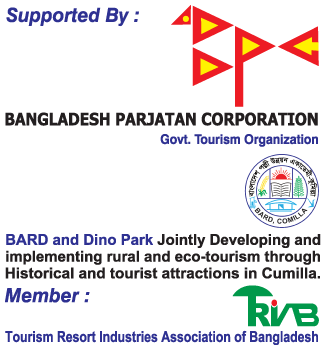 It is located in Comilla, Kotbari in about its Centre, of The twin names - Lalmai- Mainamati -an isolated ridge of low hills in the eastern margins of Bangladesh, about 8 km to the west of Comilla town is a very familiar name in our cultural heritage, where archaeological excavations have revealed very significant materials. A landmark of our ancient history ,ShalvanVihara, Mainamati Museum , AnandaVihara, Kutila Mura with more than 18 sites a tourist center noted for antiquity and many other related exhibits. 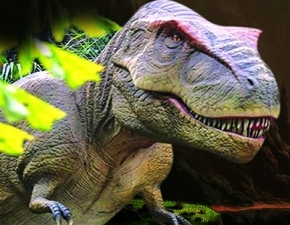 Dinopark Zone The biggest appeal of Dinosaur Adventure is our dinosaurs. You can step back in time and spend a giant-sized day of prehistoric discovery, adventure and fun. 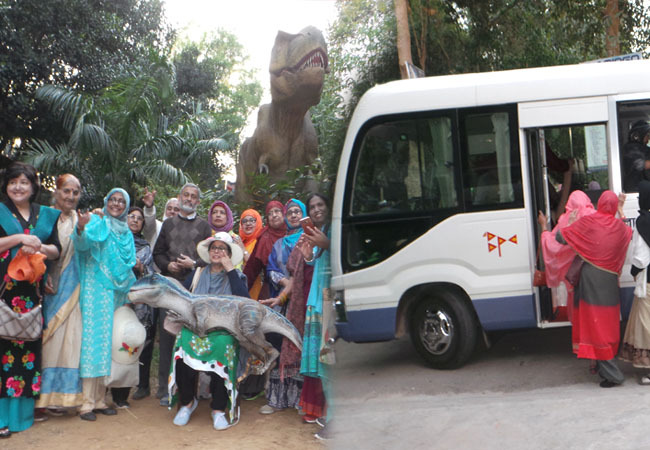 What better way could there be than to treat your group to a day out at Dinosaur Adventure? Giving you a full day of discovery, activity and entertainment, a group trip is the ideal way to make the most of what we have to offer. With our superb rates for groups you can also be assured that it provides excellent value for money. �Hilltop amusement park and Resort� There are many international standard rides such as the Ferris Wheel (Eye Of Lalmai), Family Dragon Coaster, Bumper Car, Self-Control Plane, Flower Cup and many more ,also Kids ride in Kids Zone, & Many attraction as well as Rainbow Etic Stair, landscaping, restaurants, Picnic Zone, Conference Hall, and many other fun activities. The biggest attraction is the natural beauty of the surrounding hills. Offering a fun-packed day of adventure for children of all ages, there's something for every member of the family. As well as confronting our impressive dinosaurs you can also get a bite to eat at The Hill Cafe. 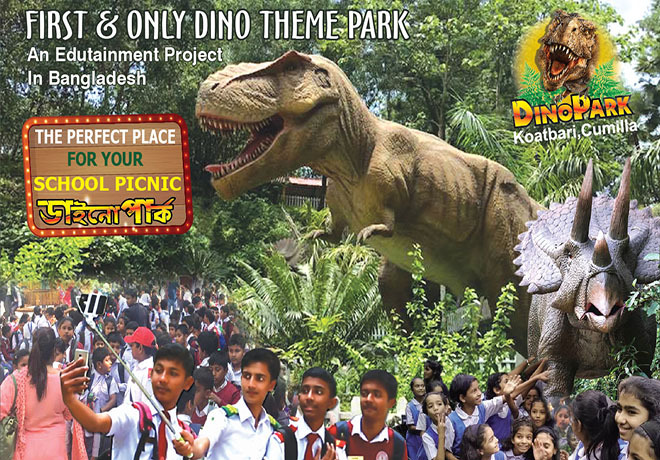 Dinopark is the first Edutainment, unique concept of theme and show Park in Bangladesh. Where our goal is to develop attractive recreational parks for all ages, with scientific integrity and educational benefit. 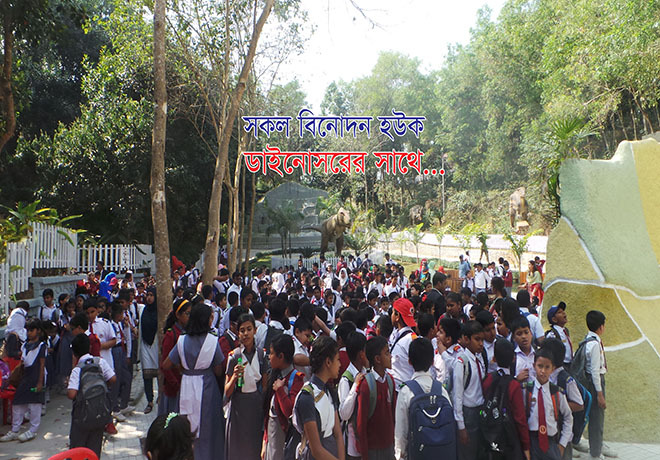 Dinopark is a very good destination for the teaching of natural history. Besides pale ontologically faithful models commemorating Mesozoic nature. Visitors can learn about different types of dinosours,about the evolution of life on planet earth,the movement of the continents and more. 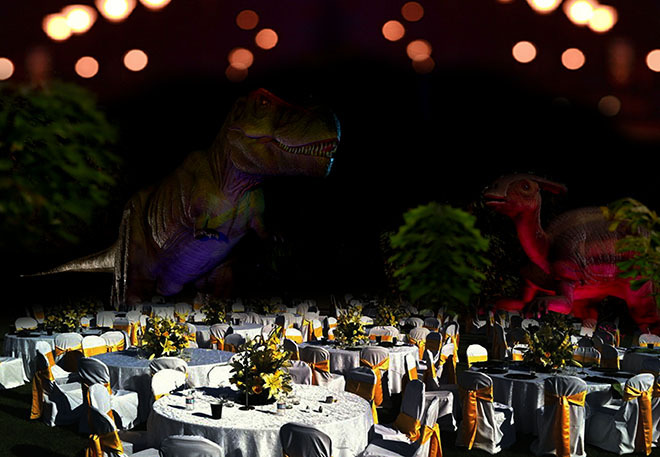 Everything has been elaborated on an entertaining and attractive form that will excite children and their teachers.Dinopark also has a captivating presentation of artifacts from the ancient past- the pavilion journey to Earth's past often features. 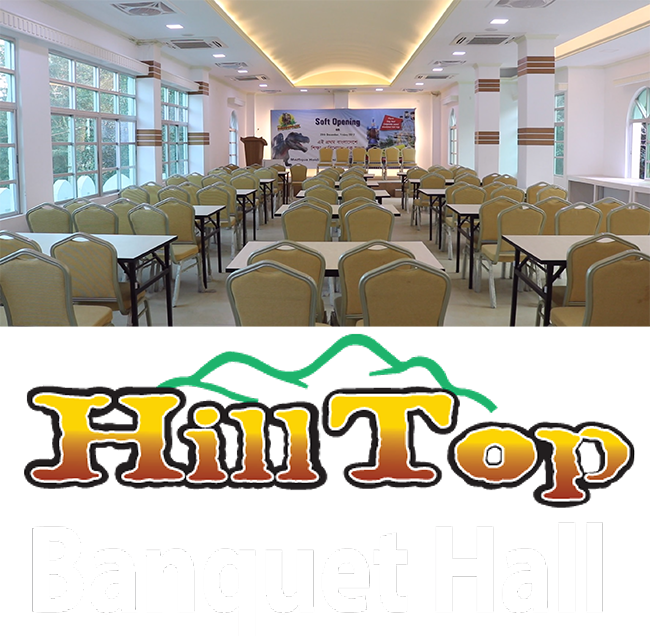 Hilltop Banquet hall is the only integrated and modern facility(fully air-condition, central sound system) in Cumilla.at Centre of The twin names - Lalmai- Mainamati -an isolated ridge of low hills, about 8 km to the west of Comilla town is a very familiar name in our cultural heritage, where archaeological excavations have revealed very significant materials. A landmark of our ancient history, ShalvanVihara, Mainamati Museum , AnandaVihara, Kutila Mura with more than 18 sites a tourist center noted for antiquity and many other related exhibits. It is perfect option for sociocultural, corporate, educational, commercial, national and international events of any type.. 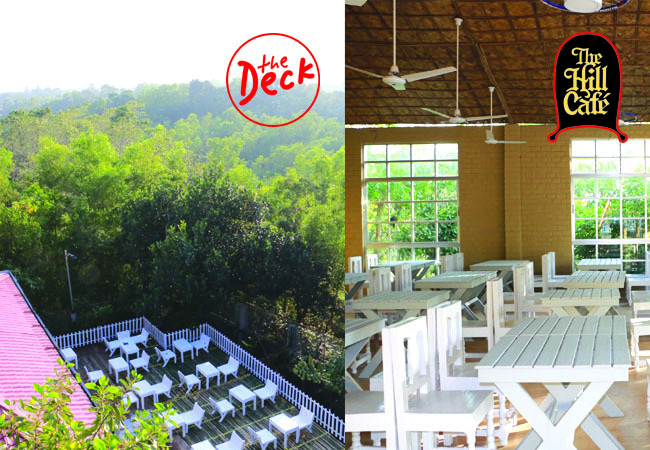 The facility is equipped to host crowd events for up to 200 in class type, seminar type 100 guests at a time. Absolutely secured and organized parking facility, end-to-end vigilance, well-groomed staffers, well exposure and a gamut of international-standard amenities have already made it a premier place for events of national and international importance. Besides mega events up to 2000 of its park zone, there are provisions for relatively small or medium-scale events. •	Car Parking: Secured and organized parking lot is ready to welcome. •	Shuttle Bus: Customized shuttle services are ready by luxury air-conditioned buses. •	Vigilance: Always under manual and electronic vigilance. •	Trained Staff: Kitchen staff work under the care of best chefs for best catering services. 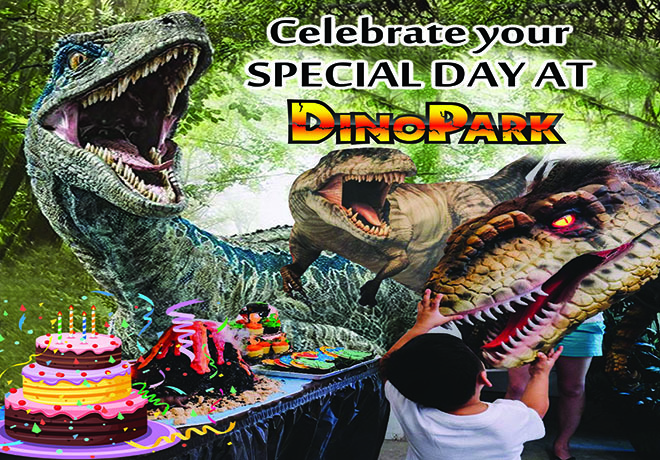 Make it a special day to remember with our Dinosaur Park Party! Get ready for a Jurassic adventure and meet some prehistoric life. Enjoy a day of non-stop fun as your group of adventurers explore with Dinosaur. • Person : Min 50. • Price: Depends on requirement. 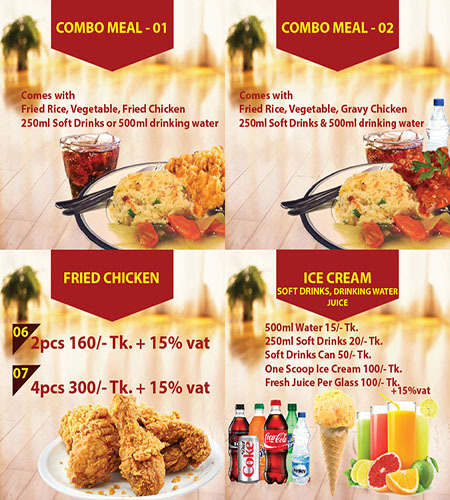 * DinoPark attractions * Discovery of Dinosaurs activities * Party Meal and others activities (as per discussion) * Party invitation card.>br/> • Person : Min 50< • Price: Depends on requirement.